Grapes are a natural and healthy way to sweeten up any juice recipe. Containing a wide source of nutrients, grapes offer many benefits to your health and wellbeing. Grapes can boost the immune system, improve heart health, keep bones healthy and could even help prevent cancer. Personally, grapes are one of my favorite fruits. They are delicious and incredibly versatile and make an excellent addition to the kids’ lunchbox. History suggests we have been producing grapes for over 8000 years – even Egyptian pharaonic hieroglyphs depict grape cultivation. Originating from central Europe, and then moving across to the “new world” when Spanish explorers brought them to America, the oldest vine recorded is 400 years old and located in Slovenia. Grapes are botanically classed as a berry and grown in clusters on perennial vines which can reach over 25 meters in length. Table grapes are the kind we eat and use for juices. Grapes are probably most famous for winemaking, but also for raisins, vinegar, grape seed oil and juices. I know right? This humble little berry certainly has a wide variety of uses! It actually takes around 2.5 pounds of grapes just to make a single bottle of wine and raisins occur naturally when grapes are left out to dry in the sun! Grapes only contain 67 calories per 100 grams. They are a good source of fiber, contain 80% water and are low in fat. The downside is that they are high in sugars. Grapes are loaded with minerals such as calcium, magnesium and potassium. They are also a top source of manganese. Grapes contain many phytonutrients, in particular the potent antioxidant resveratrol. 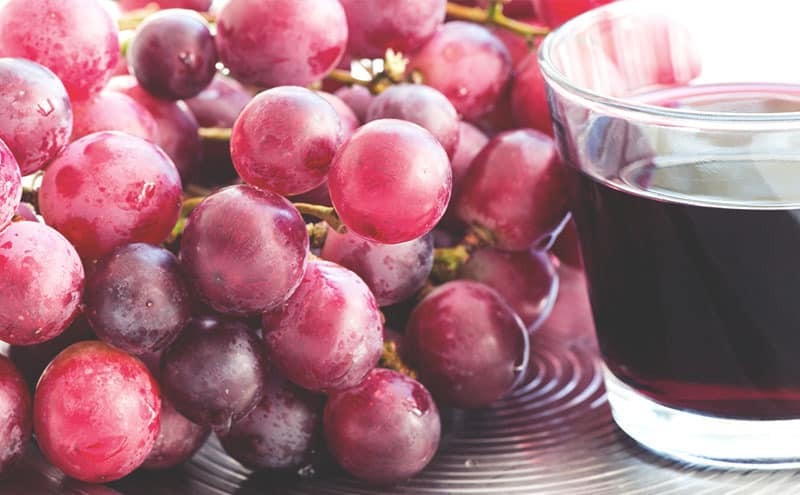 Found in the skin of red grapes, resveratrol is extremely beneficial for your health. Our immune system is what keeps us fit and healthy. If your immunity is strong, you should be able to increase resistance and lower your chance of catching infections and other illnesses. 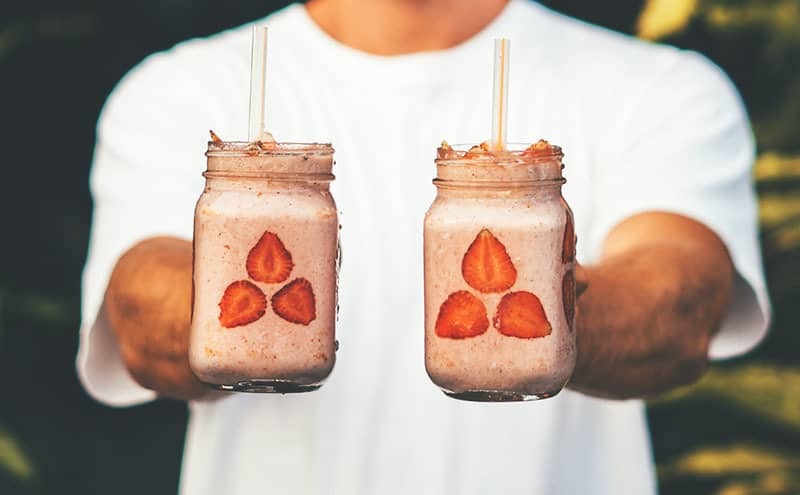 Eating the right foods to boost your immunity is incredibly important for everyone, but the very young and very old can certainly benefit from a variety of foods that give their immune system a boost. Grapes provide a boost to the immune system with vitamin C – a nutrient well known for its powerful antioxidant properties and protection against the common cold. Cancer is devastating to not only those who develop the disease, but those closest to them. The scariest thing about cancer is the fact that not only can it literally affect any part of the human body, but also anyone at any time. This is why prevention, wherever possible, is necessary. It’s possible to reduce your chances of getting cancer by making healthier lifestyle choices. We all know about giving up the obvious vices, such as smoking and alcohol, but exercise and diet can help too. Antioxidants in foods are an effective way to fight free radicals, helping to reduce the damage they cause. Grape juice antioxidants can improve your heart health in many different ways. Atherosclerosis is the buildup of plaque on your arteries which could have a detrimental effect on your heart. Not only are grapes completely cholesterol free, but they can help lower it. What’s your preference, seeded or seedless? The risk of osteoporosis increases as you age, and women are more susceptible to developing this disease due to hormonal changes. Including the right nutrition in your diet is essential to reduce the risk later on in life. Grapes could help to improve the way we process calcium in our bodies, helping to keep our bones stronger. Another way grapes can keep bones healthy is a result of their high content of vitamin K.
Constipation isn’t a life-threatening problem but it can cause discomfort. It’s important to eat a balanced diet to keep “regular”, if you don’t drink enough water or eat enough fiber, you could become constipated. Grapes are a good source of fiber, particularly the insoluble kind. This type doesn’t break down in the digestive system which adds “bulk” to the bowel movement. Grapes also have a high water content which should help to keep you properly hydrated and reduce the chance of any stubbornly slow bowel habits. Grapes are safe to eat for most people. Grapes are incredibly delicious but it can very easy to overeat if you don’t control portion size. Overeating could lead to negative effects on your digestive system. As you can see, grapes are beneficial for your health in so many ways, it’s definitely worth incorporating them into your diet. A great way to get nutrition fast is to mix up a juice. 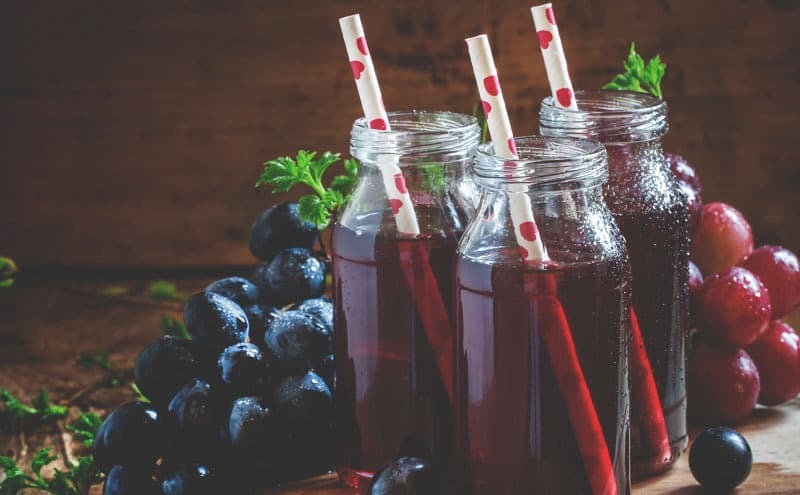 Below, we have prepared five delicious grape juice recipes just for you. Packed full of nutritious ingredients from black grapes, plus mixing with coconut water makes it a great low fat option. Grapes are great for making wine but also for juices. Grapes and raspberries are an excellent nutritious combination. Adding low-fat milk into the mix makes for a great breakfast option. This refreshing juice wakes up your tastes buds. Loaded with the goodness from grapes and lemons, it’s simple to make too. Wash grapes and pop into a juicer. Add 1 tablespoon of juice from a fresh lemon. If you want a little taste of the tropics this could be for you. This is a great way to get your vitamins and minerals from top nutritious fruits. Serve over ice if you wish. This healthy twist on a mojito provides the wholesome vitamins and minerals of grapes. A tasty treat which keeps you hydrated on a hot day too. Serve over ice cubes if you wish. What Is the Best Resveratrol Supplement? Healthiest Alcohol to Drink – Does Healthy Alcohol Actually Exist? Red, White or Rose. Which Wine Should You Be Drinking and Why?